Dodge Challenger Stripe Kit. Stripe Kit for Dodge Challenger 08-15. Challenger Stripe Kits available in both Cuda and Rodtana Designs. Choose from numerous colors (gloss or matte) for Challenger V6 Hemi & SRT8. 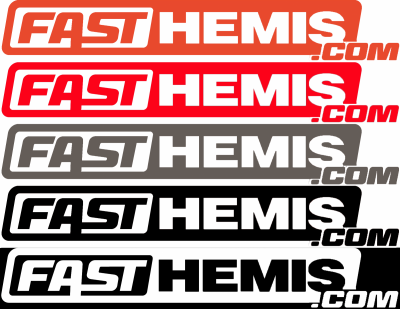 Represent your favorite Hemi Performance Parts company with some FastHemis Swag. Choose from FastHemis Stickers, License Frames, Shirts, Hats & Hoodies. Description: FastHemis Cuda Stripe Kit: 08-19 Dodge Challenger (All Models) Why pay for a custom stripe when we already have it here? 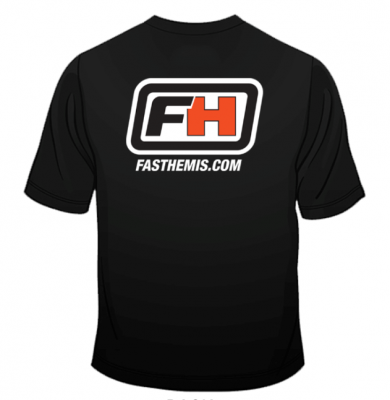 Description: FastHemis Hemi T-Shirt (Short Sleeve) in Black. 2-Color Screen Printed FastHemis Shirts on AAA Brand Cotton. Available in sizes M-4XL. Represent your favorite Hemi Performance Parts Superstore! Description: FastHemis License Frames are now available. 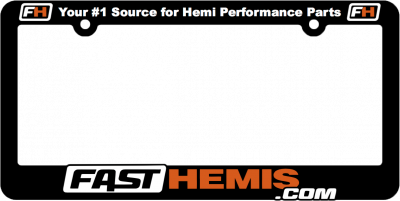 Represent your favorite Hemi performance company with an awesome FH License Frame. Ships for FREE when combined with other items. Otherwise, there is a $6.95 Flat Rate Shipping Fee. Description: FastHemis.com stickers are now available in multiple colors. Represent your favorite Hemi parts company! Available in Hemi Orange, PC Purple, Red, Silver, Matte Black and White. Includes (2) colored vinyls (7" X 1").